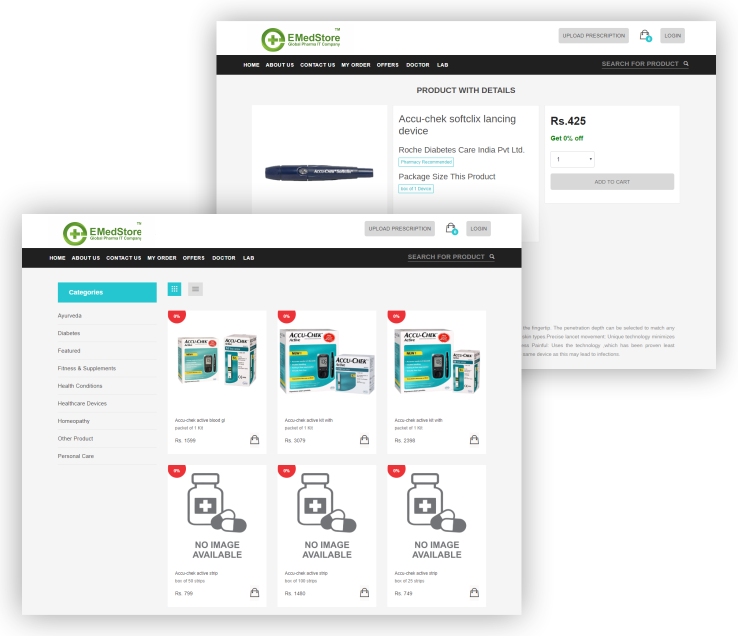 A cost-effective pharmacy website development company - The complete solution for your pharmacy store to manage via any device and digital marketing used to boost profits. 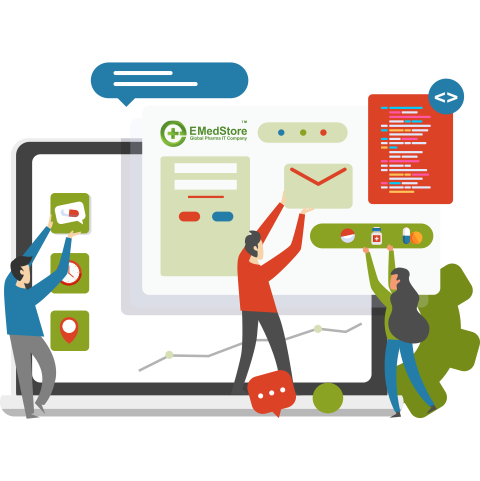 “We at EMedStore create powerful web-based solutions to run your online Pharmacy business globally anywhere in the world with fulfilling all your customized requirement.?" Over The Years we've built up huge expertise for pharmaceutical website development. We'll combine that with everything you know about running your business. 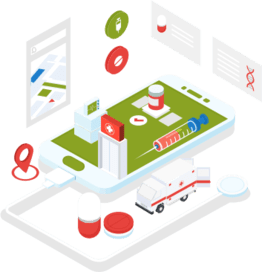 In our in-house pharmacy website design team will utilize their pharma domain expertise coding method for user-friendly UI and SEO friendly code to put control in your hands. You'll be able to contact your customers, update the content of your website and work simply and intuitively across every platform. Total control of your pharmacy is the promise we make. There's no more time to build your website or application, and the price we quote is inexpensive. We develop a user-friendly online platform so no more technical expertise requires to manage. According to the marketing gurus, there is an increase of 23% every month in users who prefer E-commerce over traditional markets. With the advent of internet technology, smartphones and IoT's, it is imperative that the buying patterns are changing and are likely to take a drastic turn in the coming years. 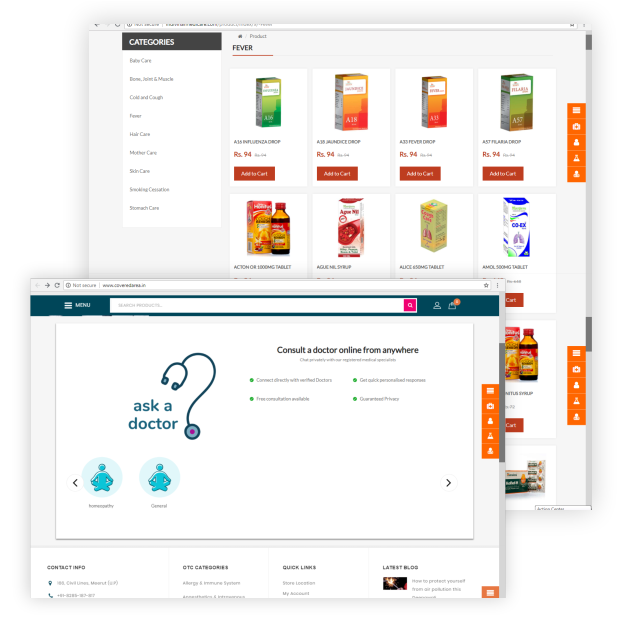 Therefore, to help you keep up with the market, EMedStore comes to your rescue with an online pharma website. This can bring you visibility in the web world. Imagine a situation when after ten years from now, you are still traditionally running your medicine store. It is hard to imagine, right? In the last five years, the market scenario has changed drastically because of the internet and smartphone. Moreover, these changes would be more rapid in the next five years because the technology is becoming cheaper and more people are able to use it now. Given these circumstances, it would be wise for you to prepare for the future and get your online medicine website done soon. It is understandable to have reservations and skepticism about the online market. In fact, you must have those reservations because of the theft and cybercrime cases that have also increased recently. Being in the web world makes you vulnerable. Therefore, you need to be extra careful when you choose the developer to help you with your online healthcare website. You must always go for someone who has a good knowledge of these things and is an established player in the market. Moreover, people have mixed buying patterns right now. Sometimes, they prefer to go to a physical pharmacy while other times they want to go for an online option. Hence, if you enter the online pharmacy market right now, you will have enough time to establish a trust for your brand amongst people. Are you still confused? Are you someone who understands the need for an online healthcare website but are skeptical because of the threats of the virus and other phishing attacks? If the answer to these questions is a yes, you need to take action right now and give us a call! Our experts will answer all your questions and clarify all your doubts so you can make a firm decision about getting your pharmacy business online. An appealing website with a user-friendly design can definitely help you with your business and boost your sales drastically. We at EMedStore provide a complete solution to all Pharmacies. Our websites are designed and built to attract visitors and convert them to customers. If this sounds like the website your Pharmacy needs, please get in touch with us today for your pharmacy website and mobile app design. We'll build a website which allows patients to go online and manage their treatment in complete safety. Basic Search Optimization is taken care of behalf of you, So your website is completely SEO Friendly, By utilizing the best of each, we'll drive your business to even greater heights. You can manage online prescription requests in a speedy and convenient manner. 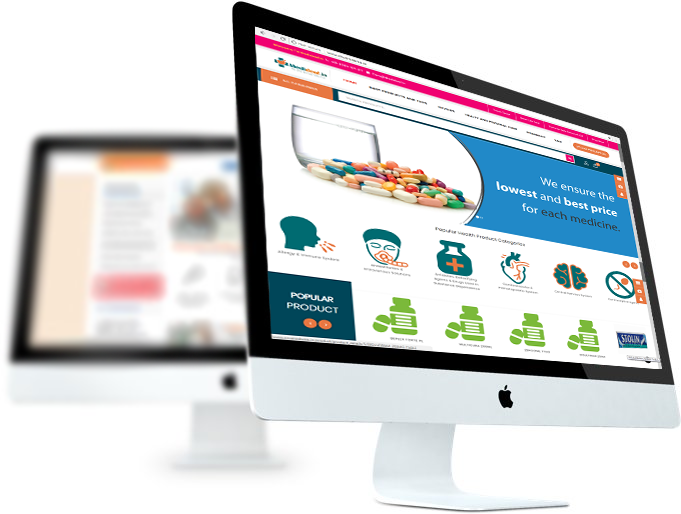 Get in touch with us today for your pharmacy website homepage design and sell medicine from your online platform.